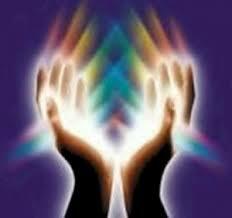 Reiki is a hands on or hands off Energy therapy which allows the practitioner to channel life force energy to a client to help them relax and heal mind, body and Spirit. Reiki is really two concepts Rei and Ki. The word Rei, as it is used in Reiki, is interpreted to mean spiritual consciousness or universal knowledge. Ki is called the vital life force or the universal life force. This is the non-physical energy that animates, circulates and surrounds all living things. Therefore putting these concepts together Rei-Ki means Universal life force or Spiritually guided life force energy. If there is a restriction in the flow of one's Ki a vulnerability to illness occurs. When energy is high and flowing freely better physical, mental and emotional health is experienced. Life force plays an important role in everything we do. It animates all living things and is the primary energy of our emotions, thoughts and spiritual life. The Reiki Practitioner is a channel for this healing energy, by drawing the energy to them through them and to another using their intention (mind/ spirit) to visualize and “feel” the free flow of energy. The practitioner does so without the illusion or delusion that they are doing some form of healing, but instead understanding that Universal life force energy will balance and heal what ever is unbalanced all on its own and the practitioner is allowing themselves to be used as a conduit for that process.